MANILA - A former lawmaker has filed graft and serious misconduct charges against poll commissioner Christian Robert Lim over the controversial Smartmatic TIM contract. Former Biliran representative Glenn Chong filed the complaint before the Office of the Ombudsman Monday, saying Lim may be held liable for violating the Anti-Graft and Corrupt Practices Act because of the Smartmatic contract. 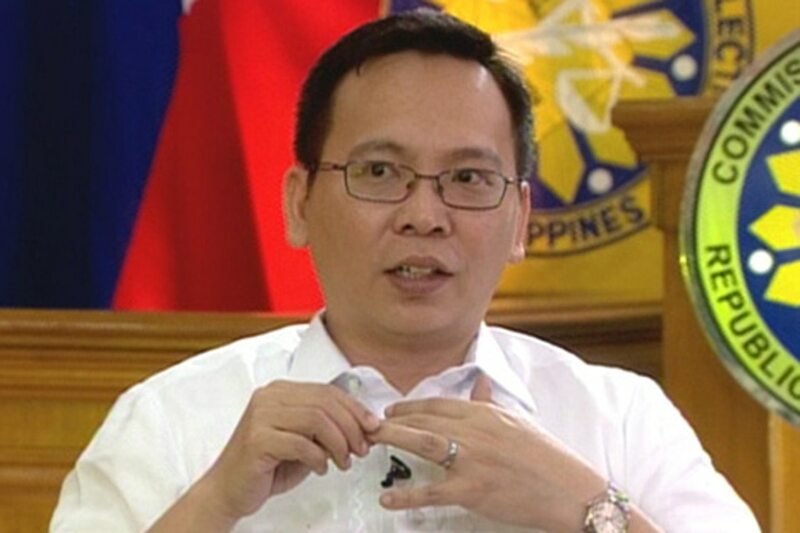 In his complaint, Chong accused Lim of committing graft and corruption when he proceeded with contract negotiations with the joint venture of Smartmatic TIM Corporation in his capacity as authorized Commission on Elections negotiator and Chairman of the Steering Committee. He said the commissioner "voted to approve the anomalous 'midnight deal' under the so-called Extended Warranty Contract amounting to P240,000,000.00 excluding Value Added Tax through his insistence on direct contracting instead of competitive public bidding." The former lawmaker also accused Lim of trying to manipulate the other poll commissioners to remove Comelec Chairman Andres Bautista so that he could take over as acting Comelec chief. Six poll commissioners earlier signed a statement urging Bautista to resign amid investigations into his alleged unexplained wealth. "The prospect of the respondent becoming Acting Chairman of the Comelec in the remaining few months of his term by manipulating his colleagues and persistently calling on Chairman Andres Bautista to either resign or take a leave of absence even months before the impeachment complaint was filed is by all means an indication of his intense interest for the position in the light of the ongoing preparations of the Comelec for the forthcoming 2019 elections," Chong said in his complaint. Chong said he is filing the case against Lim, an impeachable official, at the Office of the Ombudsman which can then initiate an impeachment complaint at the House of Representatives. He said he is hoping the Ombudsman will file a verified complaint against Lim for betrayal of public trust and serious misconduct. Lim had been chair of Comelec's Campaign Finance Office, but stepped down after the commission extended the filing period of Statements of Contributions and Expenditures (SOCE) from June 8 to June 30. He was one of three members of the en banc who voted to deny the petition of the Liberal Party for a 14-day extension of the filing period, after the party failed to comply with the June 8 deadline.